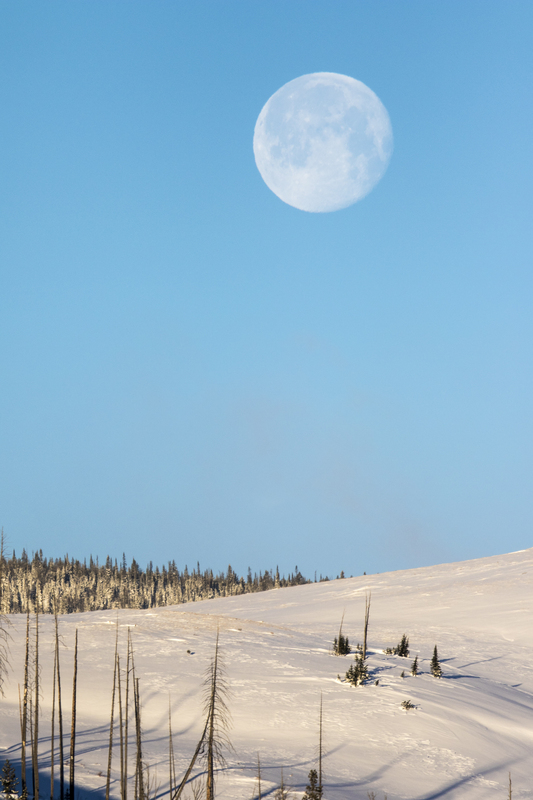 A trip into the interior of Yellowstone in winter is truly magical. 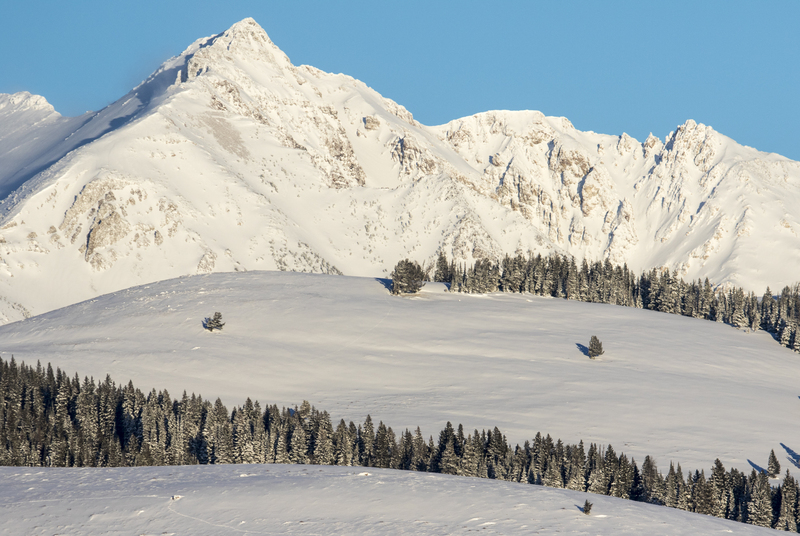 Most of the extensive road system is closed in winter to all but over-snow travel via snowmobiles or snow coaches. We had chartered a snow coach for our group so we could travel in comfort and have more control of our route and stops. We set off early in the morning with a first stop at Swan Lake Flats, a vast, flat expanse surrounded by high peaks. Cold temperatures and our first full sun morning made for beautiful conditions, including sun dogs at sunrise. Driving toward Canyon, you soon realize the interior of the park receives much more snowfall than much of the northern range. 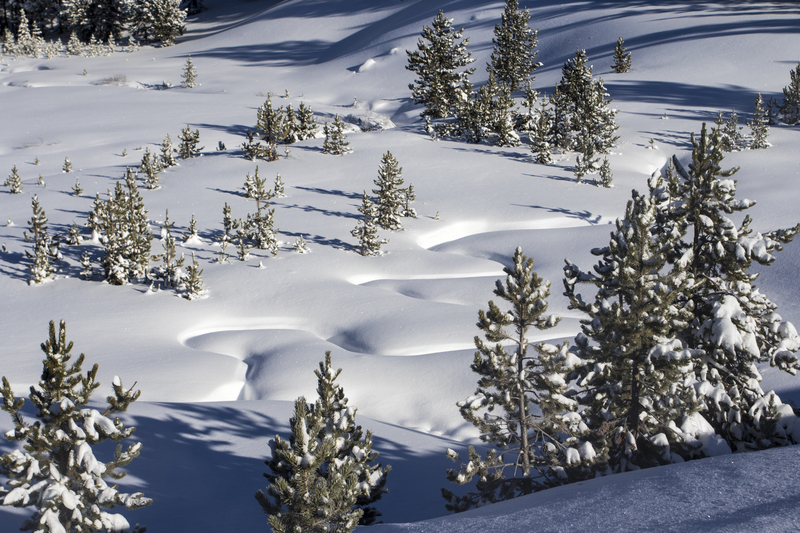 There are meadows covered by an untouched blanket of deep snow with only hints of what lies beneath – a sinuous line shows a creek channel and tips of tree branches reveal a partially buried conifer. 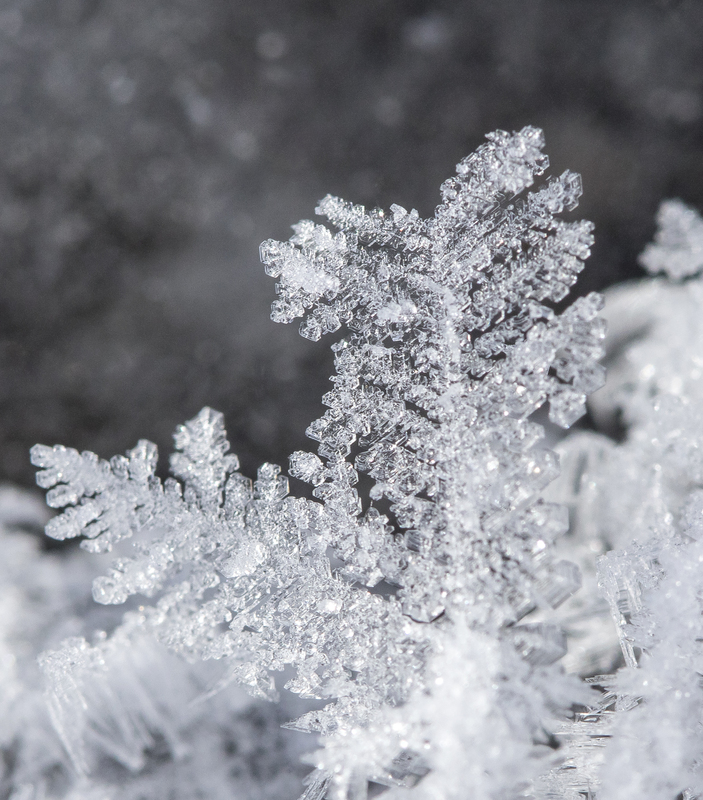 When we drove into the parking lot at Artist Point at the Grand Canyon of the Yellowstone, one of the main reasons for my love of winter in Yellowstone became obvious – there was no one else there. In summer, this lot would be at capacity with hundreds of visitors crowding the trail and summit of the overlook. Today, our own private viewing of the Grand Canyon of the Yellowstone, one of the geological wonders that helped convince Congress to set this area aside as the world’s first national park. 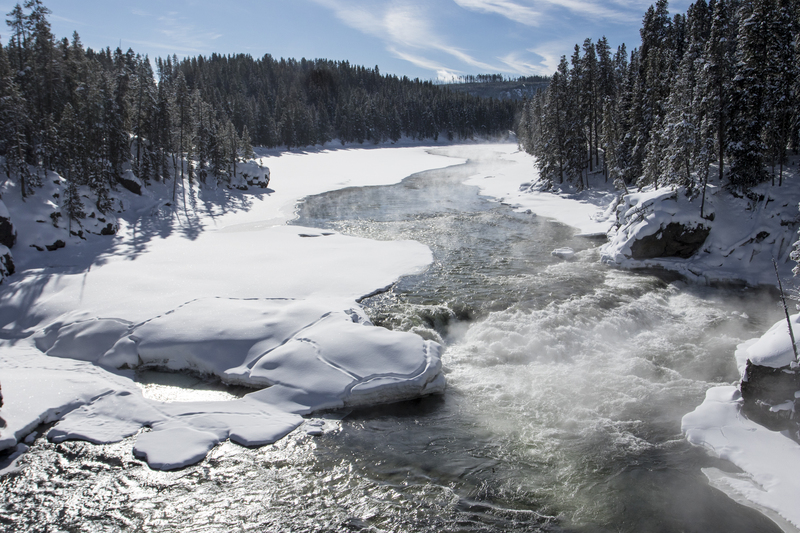 If you take a closer look at Lower Falls in winter, you notice a huge dome-shaped mound in front of the falls. 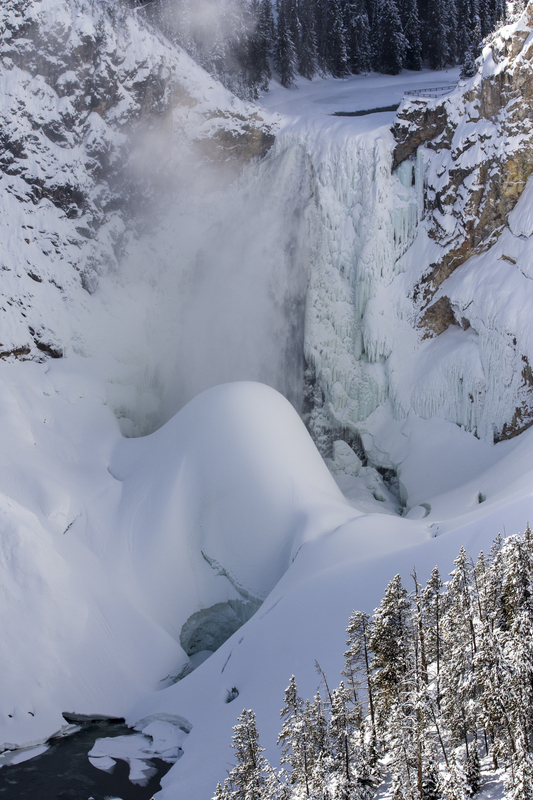 This is “ice mountain”, a large pile of frozen mist, water, and snow that accumulates every winter at the base of the falls, sometimes reaching heights of well over a hundred feet. One source I read said that it tends to vanish quickly in the spring, often collapsing on itself in just a few hours as temperatures warm. Heading out of the Canyon area, we stopped and walked out onto the Chittenden Memorial Bridge that crosses the Yellowstone River just above the Upper Falls. In summer, this is a tranquil-looking area, with small rapids giving just a hint of the watery chaos that occurs just downstream as the river thunders over 100 feet at the Upper Falls and plunges another 308 feet at the Lower Falls. In winter, it is a great place to see signs of river otter hunting the open waters. The trails in the snow along the water’s edge you can see in the photo above were made by otter. 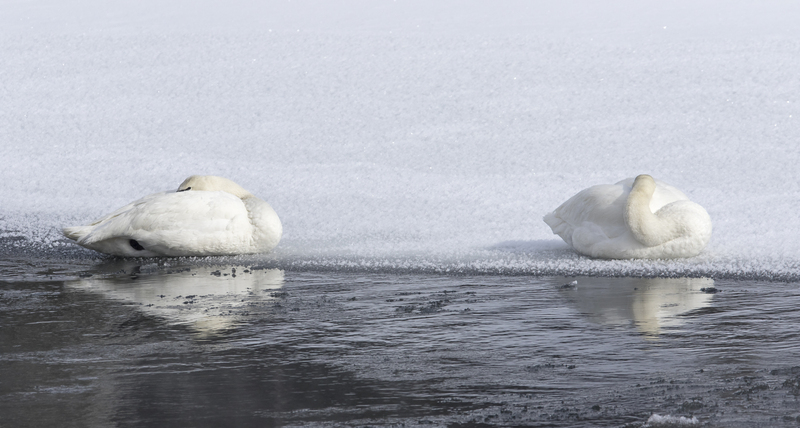 Just upstream, we encountered our first trumpeter swans of the trip, a pair resting quietly on the edge of the ice. They were soon joined by another pair that flew in and landed near them, but that stayed out in the open water of the river. 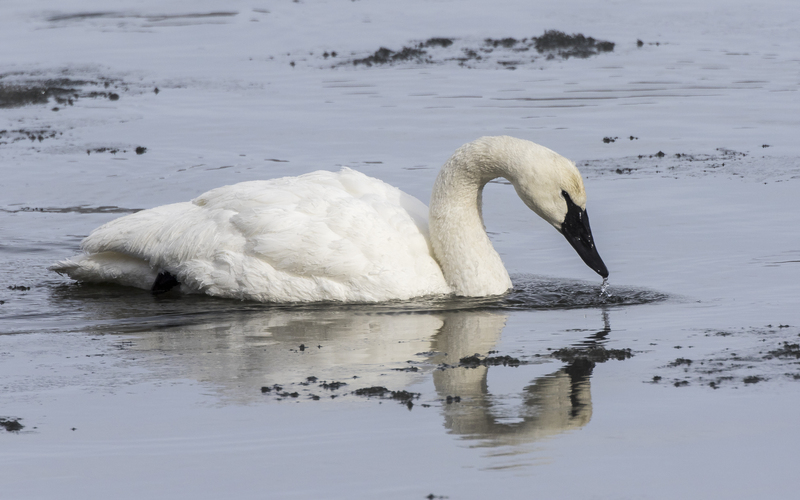 Trumpeters gather in the park in winter to take advantage of the many waterways kept open by thermal activity. 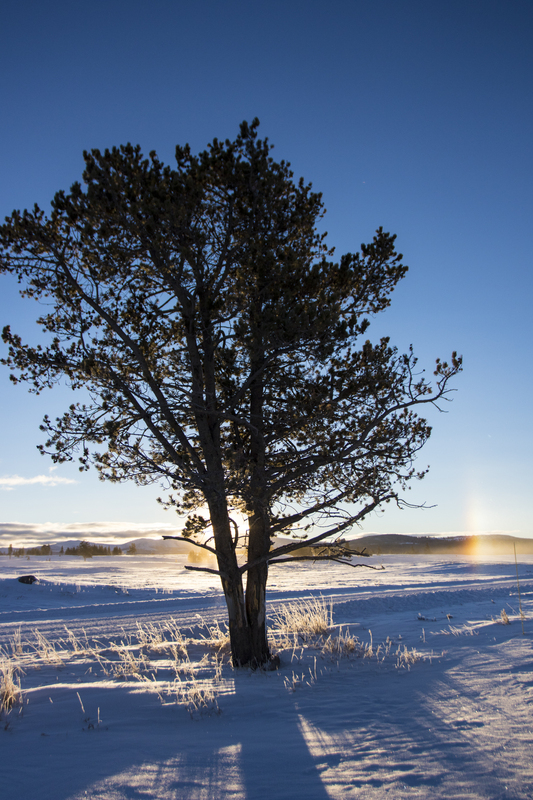 The trip down through Hayden Valley is always my favorite part of a winter journey and I was so glad that it had turned out to be a clear day for it. 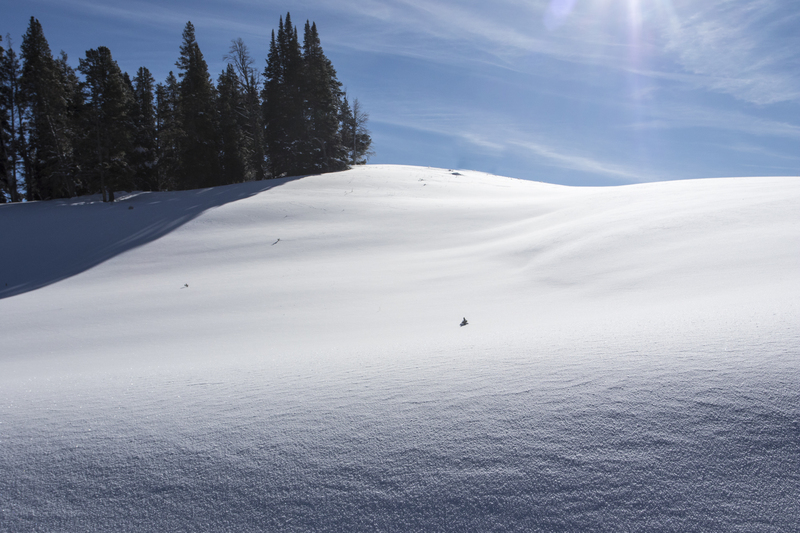 Massive snow-covered hills, many devoid of any visible vegetation, give a seemingly horizon-less world view. 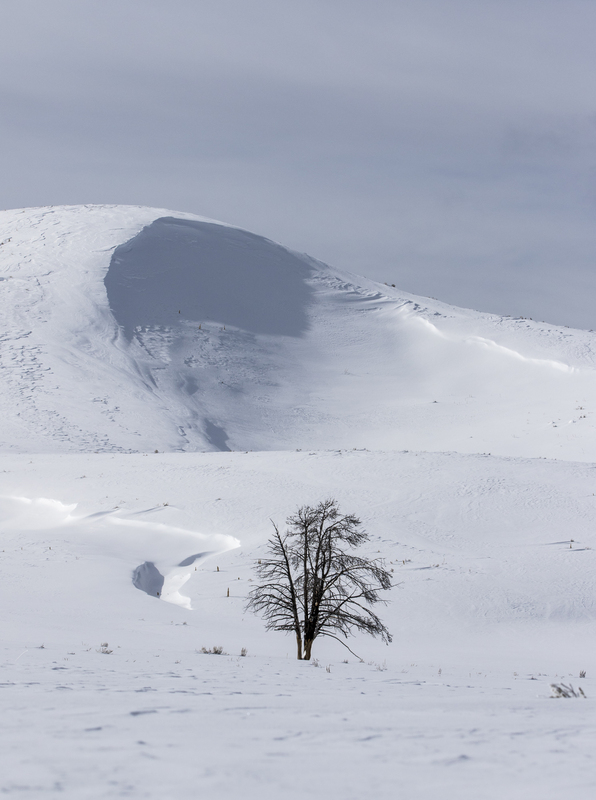 Here and there, isolated trees give perspective and some scale to the immensity of this windswept terrain. Mud Volcano provides a hint of things to come with our first major thermal features along the route. 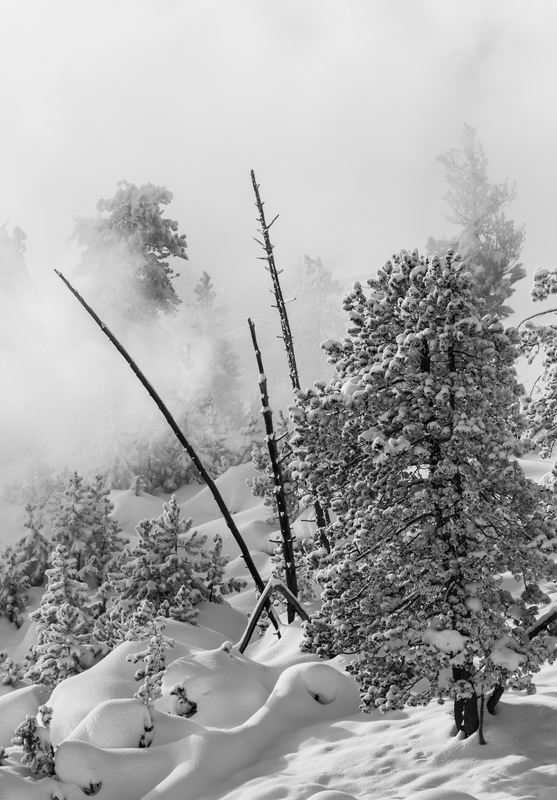 Cold temperatures enhance the steam production and nearby trees are coated with thick cushions of ice. Wildlife often congregate in these thermal areas to avoid the bitter cold and deep snow elsewhere. 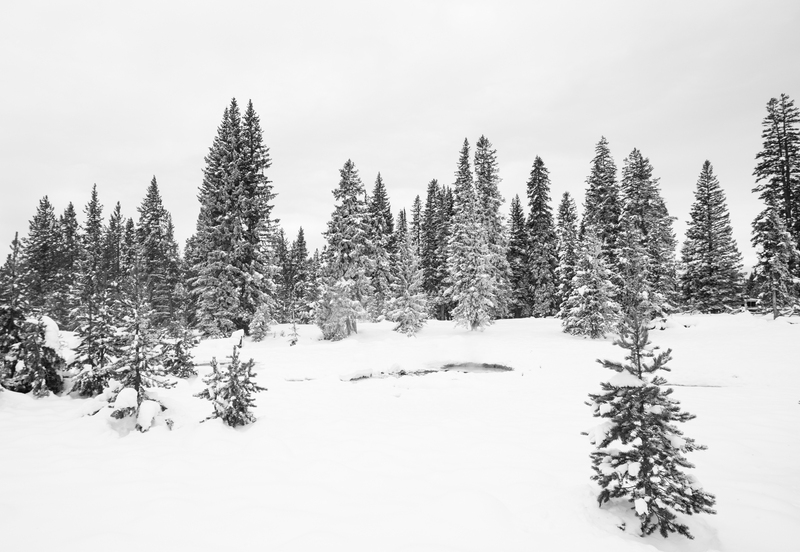 By the time we reached West Thumb Geyser Basin, a thick cloud cover had helped create a world of stark contrasts of black and white with occasional tinges of thermally induced color. I wish it wasn’t so expensive to charter a snow coach, as this trip is something more people need to experience. Being surrounded by a seemingly endless landscape of cold and ice, punctuated by otherworldly thermal activity, and having the opportunity to observe how wildlife adapts and survives in such a hostile place, gives one pause to consider the meaning of wildness, of beauty, and of life itself. This entry was posted in Uncategorized by roadsendnaturalist. Bookmark the permalink. Wow. Just wow. So beautiful. So glad you had the opportunity to be there. Thanks for sharing your photographs. Thanks, Jane. More to come. If the Lamar is stunning, the interior is staggering in its beauty. 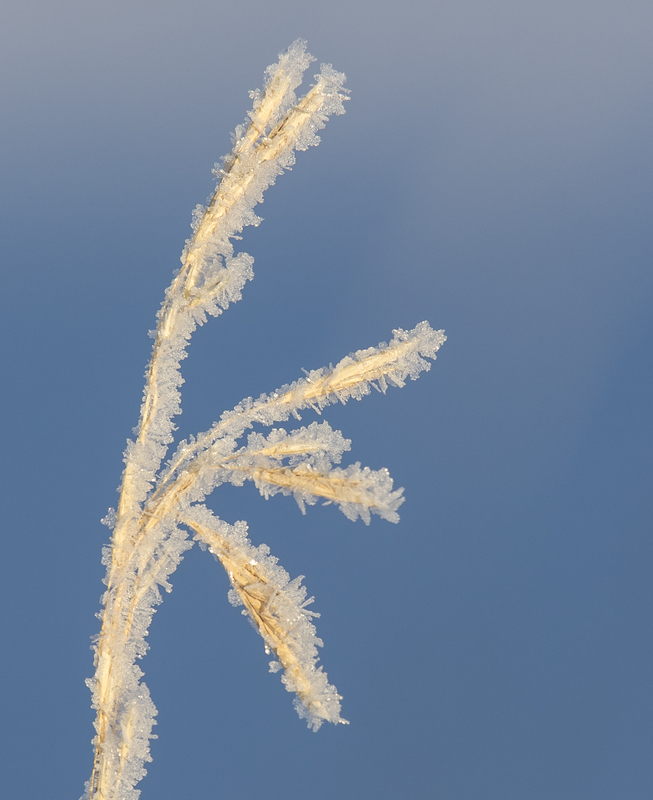 I was so delighted to see your images of the hoarfrost and ice. The bright crystal beauty had me staring at a single branch or pinecone for minutes at time. You captured it magnificently. Thanks, Mary. I was so glad we had one clear day on our trip south. Hayden is beautiful in its scope. 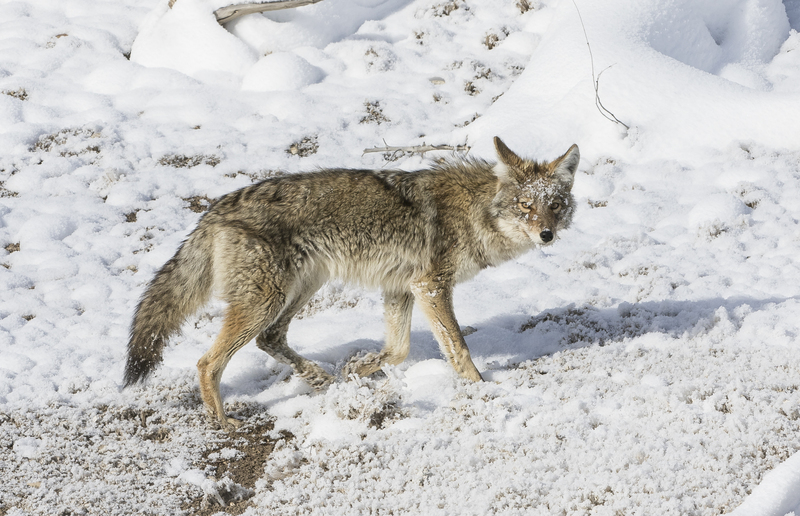 Dear Naturalist,You mention that you take friends from North Carolina with you on your winter trips to Yellowstone. Though I’m sure you’re deluged with requests from your online admirers, I’ll ask anyway. Any chance a couple from Florida could join you in one of your future adventures to Yellowstone? We spent 5 days in the park this past summer (our longest visit) and loved it. I can only imagine that a winter trip with you would be fantastic! Thanks for your consideration. I will start leading trips again next year when I re-retire. Keep an eye on my blog posts for trip announcements. Thanks for your interest. 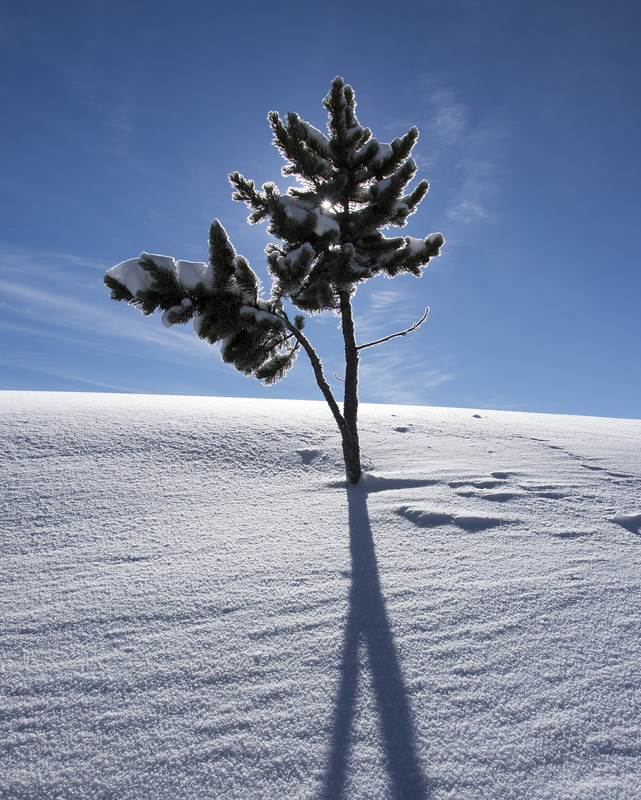 One of the best pictures I ever took was in Yellowstone in the winter. I think you have done a wonderful job of capturing the special nature of the place at a time of the year most people don’t visit. Thanks for sharing. Thanks, my favorite time of year in the park. Beautiful photographs and so well described. Thanks. Greetings from the other wonder of Dubai. It really looks great! 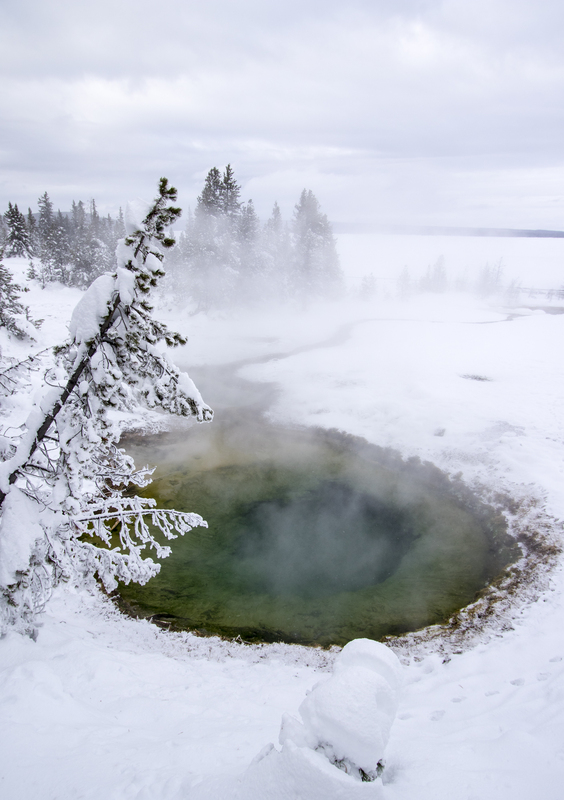 I love it, maybe we will get a chance to see Yellowstone like that in winter dress.